Artikel-Nr. : 44918 This machine has a new owner. But no problem: Below you can find similar machines we have in stock. Mini excavator used to sell Yanmatr VIO 75 mit Gummiketten and Schil. the Mini excavator of Yanmar is from BJ 2004 and hat 2900 Stunden. we sell diesen used Mini excavator in commission. more Yanmar Mini excavator Vio 70 and Vio 55 find Sir in the anderen Rubriken. 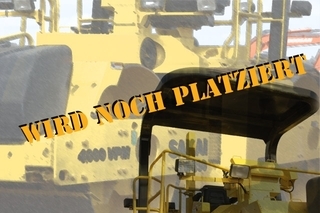 Technischedaten Yanmar VIO75 : engine	Yanmar diesel 4TNV98-XBV Engine power	43,5 kW / 58,2 PS / 2000 1/min Max centrifugal force arm 38,2 kN Max centrifugal force bucket 54,8 kN digging deep	4.200 mm Ausschütthöhe	4.920 mm Heckschwenkradius	1.130 mm travel speed	2,7 – 4,7 km/h long	6.285 mm width	2.270 mm height	2.715 mm weight	7.720 kg Yanmar Mini excavator VIO75 used to sell, cab,Gummiketten, aircondition, SWE.Lenhoff. This video zeigt not the to Kauf offered Yanmar VIO75 excavator.